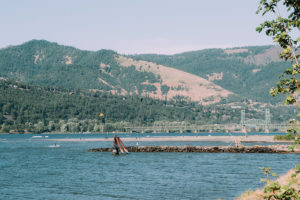 If you’ve never visited the Columbia Gorge in north-central Oregon and south-central Washington, it is a region with stunning natural beauty that straddles the Columbia River and sits in the heart of the Cascade Mountains. Google it. You’ll see images of acres and acres of apple, pear, and cherry orchards that draw thousands of migrant farmworkers every year; you’ll see news stories about Google, Boeing, and other high-tech firms whose presence draws highly educated engineers; and you’ll see picture after picture of the rivers, mountains, vistas, and forests that draw thousands of tourists every season. More than half our students are eligible for the federal free/reduced meal program. 50% of students live in homes where Spanish is the primary language. One in five people actually skips meals each month for lack of food. We have the highest housing costs in Oregon. In short, we face a growing have and have-not dichotomy. Given this context, what does equity mean in the Columbia Gorge community? Who decides? And, if we can agree on what it means, then what? Three Community Health Workers launched an effort recently to answer these questions. We need to define — or at least better understand — the inequities that exist in the Columbia Gorge so we can work to eliminate them. We already know that in many ways inequities negatively impact health. But, as the definition of health expands to include more social factors, we are also learning how these inequities can compound one another. For example, the Gorge is home to a robust Veggie Rx program whereby providers write prescriptions for fresh fruits and vegetables to address food security. However, we have learned that without regular public transportation in this rural community, too many participants don’t have means of getting to the farmers’ markets to redeem their prescriptions. Thus, two inequities — food insecurity and lack of transportation — are conspiring to create poor health. Some work toward improving equity in the Columbia Gorge has been ongoing for decades. Most notably, The Next Door, Inc., the region’s largest social service provider, has been raising and representing Latino voices in community initiatives, meetings, and conversations for more than 40 years. While staff and programs have come and gone, the mission has not. A long-standing program at The Next Door, the Mid Columbia Health Equity Advocates (MCHEA), advocates for and supports individual community members of color. One of MCHEA’s focus areas is creating space and a structure for Latino community members to advocate for themselves. This includes learning skills to participate in community boards, elected bodies, and advisory groups. MCHEA has helped Latino community members get elected to the school board, the transportation board, among others. 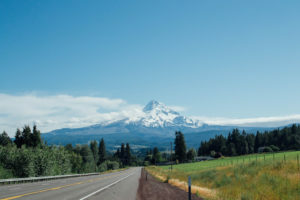 MCHEA, which Oregon recognizes as the Regional Health Equity Coalition, has expanded from Hood River County to neighboring Wasco County in 2014, and now supports a new Coalition of Native peoples from along the Columbia River. Gorge Food Coalition Equity Statement (draft under plain language review): We commit to creating a just, equitable local food system based on solidarity and dignity. We acknowledge that the current food system is built and dependent upon the oppression of historically excluded communities. We will confront the systemic injustices that create and perpetuate poverty and hunger. Elevating the issue of equity has sparked more discussions about what the term actually means for our community, and as importantly, how we apply those definitions to create healthier individuals and a healthier community. These conversations helped prompt three local Community Health Workers — Shellie Campbell of No. Central Public Health District, Alicia Ramirez of The Next Door, and Suzanne Cross of Columbia Gorge Health Council/CCO (managing this region’s Medicaid funding) — to enroll in the Oregon Health Authority’s yearlong leadership program, DELTA (Developing Equity Leadership through Training & Action). DELTA focuses on capacity building and networking with health, community, and policy leaders in Oregon. We recognized that in order to address entrenched inequities, our community needs to share an understanding of what equity means, and agencies must see inequities in their midst. 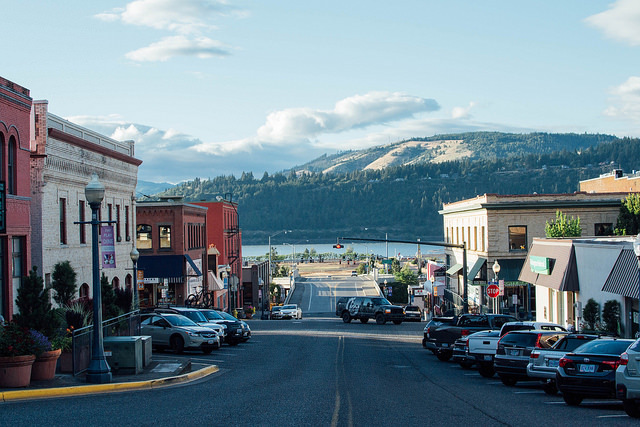 To help the community and organizations reach that point, the three Community Health Workers launched the Gorge Health Equity Collaborative in 2018.
share these practices with the broader community. Underlying these will be an agreement on a common understanding of equity. Working without a budget, we convened more than six partners beyond the leaders’ agencies, including the City of Hood River, Hood River County School District, Gorge Grown Food Network, among others. Each meeting has expanded the number of partners, all of whom serve traditionally underserved populations in the community. Without creating a single-sentence definition of equity, we are working through our common and different understandings of the concept. The image below comes from the prompt: What do you think of when you hear the term ‘health equity’? The Gorge Health Equity Collaborative asked meeting participants about their thoughts on health equity. Responses included awareness, justice, personal, access, equal, community, and supports. Photo courtesy of Paul Lindberg. 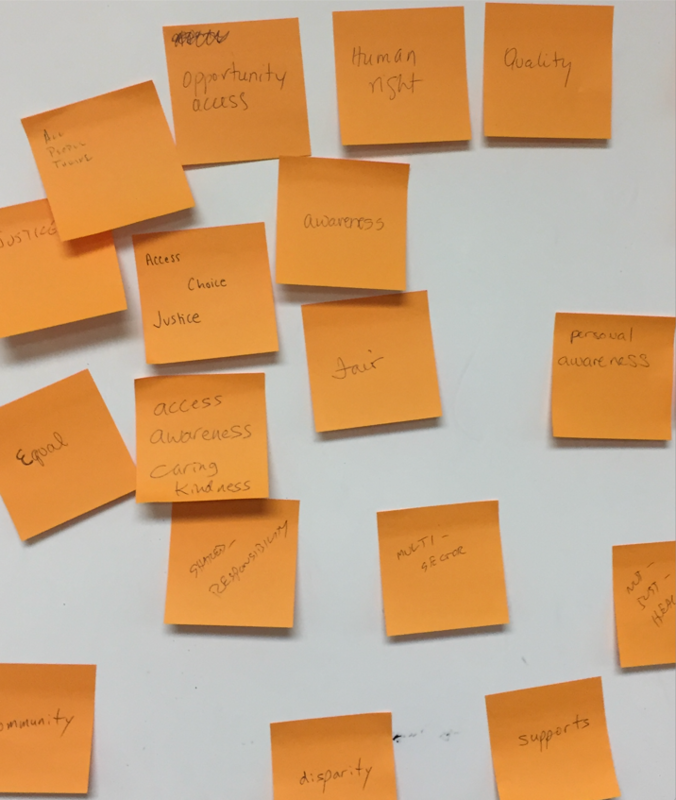 The Collaborative envisions equity as a journey along a spectrum, and is using the language from these meetings and existing toolkits to further define the concept. Employing the Popular Education tenet of “meeting people where they are,” the Collaborative provides a venue for organizations to come together and identify where they each are on the spectrum as well as a place where we can all move further along that continuum together in policy and practice. 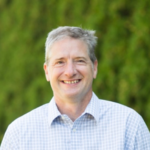 In Paul’s role as collective impact health specialist, he tries to connect the Collaborative’s work with other partners and initiatives in the community and secure support (financial, technical expertise, etc.) for the project. One significant source of support is the National Academy of Medicine (NAM) Culture of Health Program’s Enhanced Incubation Model. Through this initiative, the Gorge Health Equity Collaborative has joined four other communities across the country — East Los Angeles, Calif., San Antonio and Bexar County, Tex., West Harlem, N.Y., Williamson, W.V. — to develop strategic plans supporting equitable, good health for their community members. While the NAM project does not include funding, it does include consultations with NAM staff and other national leaders in equity and organizing and regular learning opportunities between the cohort communities. One challenge so far is ensuring that the Collaborative honors the years of work toward equity in the Gorge region. Participating in the NAM cohort is driving us to complete a community-wide plan to address equity by the end of 2019. As an important milestone, the individual agencies will identify where they see themselves on the equity spectrum. Then, we can collectively move forward to eliminate some inequities in the Gorge that create negative health impacts, including those linking food insecurity with a lack of transportation. So, what does equity mean in the context of the Columbia Gorge region? We are working on that. Through our community-based process, we are confident we can help partners better understand equity and give them tools to adopt an equity lens for their policies and practices, and in turn, create healthier individuals and a healthier community. In a few years, who knows, maybe our equity work will show up when you Google us. Paul Lindberg is a collective impact health specialist for the rural Columbia River Gorge Region in Oregon, a unique role recognized by the Robert Wood Johnson Foundation in awarding the Columbia Gorge its Culture of Health Prize in 2016. In this community-based role, Lindberg draws on 25 years of experience to work across sectors to identify needs, convene partners to design initiatives, and secure funding. To date, he has helped design and launch more than 30 new initiatives in the Gorge and secured almost $10 million in grants. Shellie Campbell has a long history of working with community organizations that support health and advocacy. 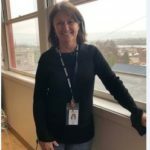 As the clinical program manager at North Central Public Health District in The Dalles, Oregon (serving Wasco, Sherman and Gilliam Counties), she oversees the Nurse Home Visiting Program, WIC (Women, Infant and Children), Community Health Workers, and community prevention programs, and serves as a liaison to community programs and partnerships. She is also working with the Columbia Gorge Regional Health Equity Team and the National Academy of Medicine to develop a regional plan that will provide equity training and resources to the community. 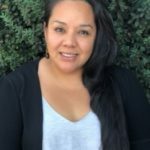 Alicia Ramirez is regional health equity coordinator of Mid-Columbia Health Equity Advocates (MCHEA), a program of Nuestra Comunidad Sana of The Next Door, Inc. Since she was 11 years old, she has been working to help support her family, assisting family members with all kinds of system navigation in the social determinants of health and teaching classes at her church. She is a Certified Community Health Worker (CHW). In her role as regional health equity coordinator at MCHEA, she currently assists one Native and two Latino leadership groups to address top community concerns about the social determinants of health. She is an enrollment assister, clinical navigator, and CHW certification trainer and coordinator. Ramirez feels it is her duty as a human being to work for justice and equity for all, especially women and children. 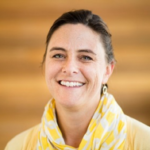 Suzanne Cross is the senior project manager for the Columbia Gorge Health Council, which is a partner with PacificSource Community Solutions in the Columbia Gorge Coordinated Care Organization. She has a master’s in public health and although feels like she has been a community health worker all her life, recently became certified as one. She brings her 25 years of experience in community health organizing, management in primary healthcare, training in public health, community health work, and health equity to serve the program manager of the Bridges to Health Pathways Community HUB Program (B2H), for which Columbia Gorge Health Council serves as the HUB. The program provides cross-sector community care coordination for households needing assistance and works to eliminate disparities, leading to better well-being for all community members, and helps elevate our learnings through data-driven decisions toward system improvement.